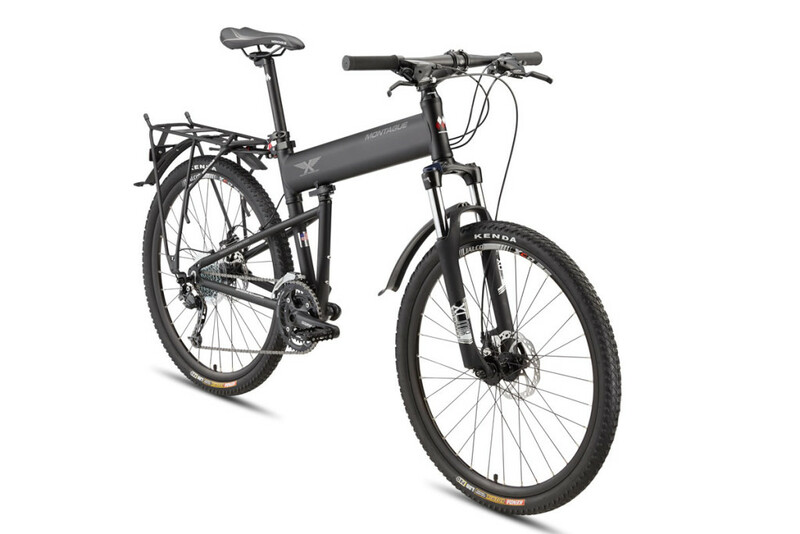 Take your off-road riding to the next level with the Paratrooper Pro. 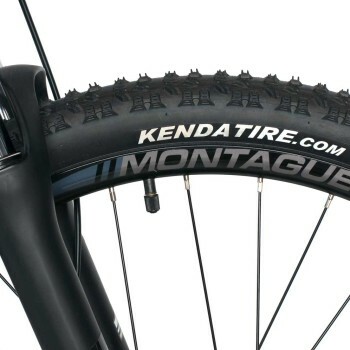 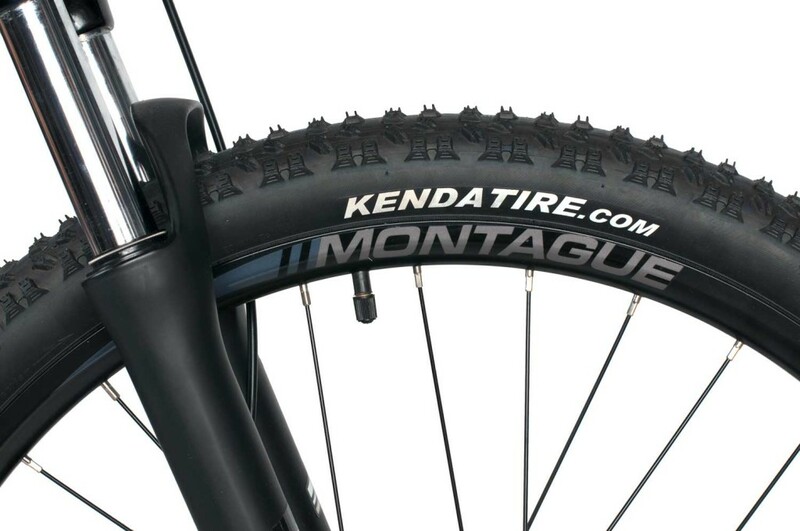 With plenty of gears for climbing and 100mm of travel in the front shocks to absorb the bumps of off-road trails, you’ll be ready to tackle the toughest terrain. 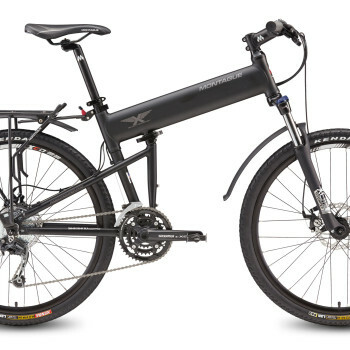 Just like the original Paratrooper, the Pro is known for its durability and load bearing capabilities, and has developed a following with everyday commuters and weekend warriors. 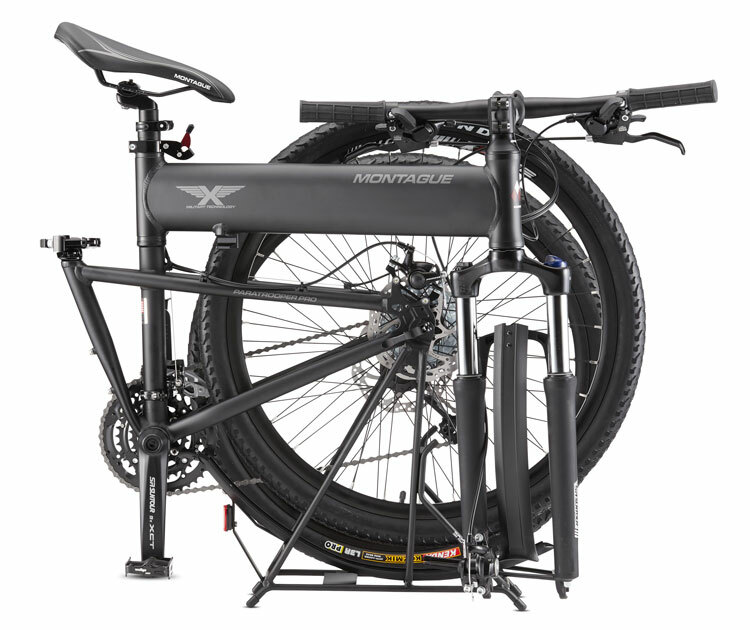 A new and included feature is the RackStand which acts as a cargo rack, kickstand, folded bike stand, and features a built-in mudguard. 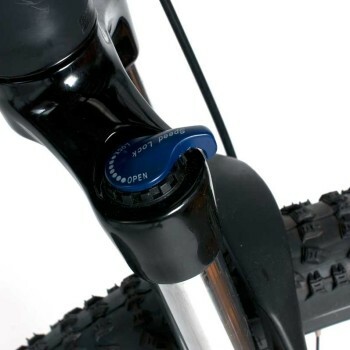 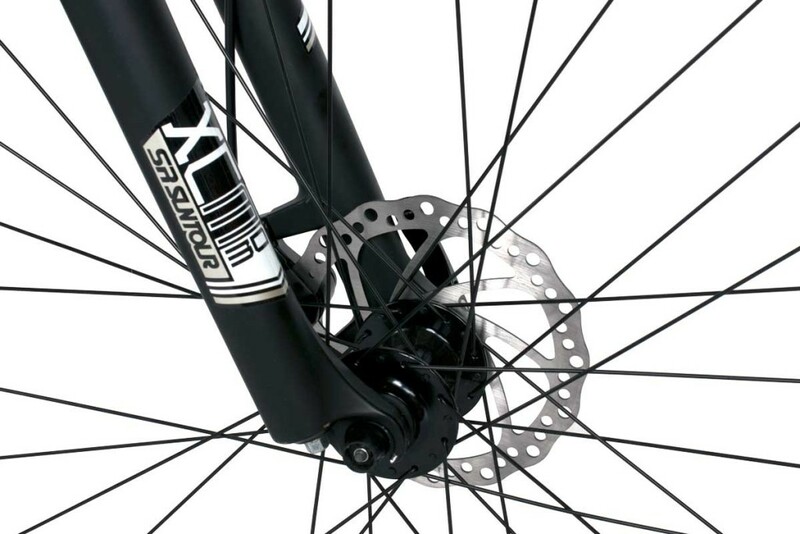 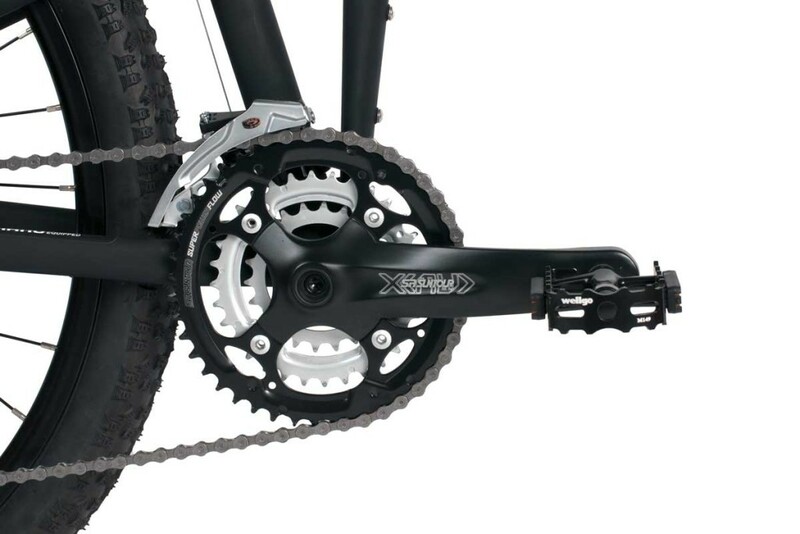 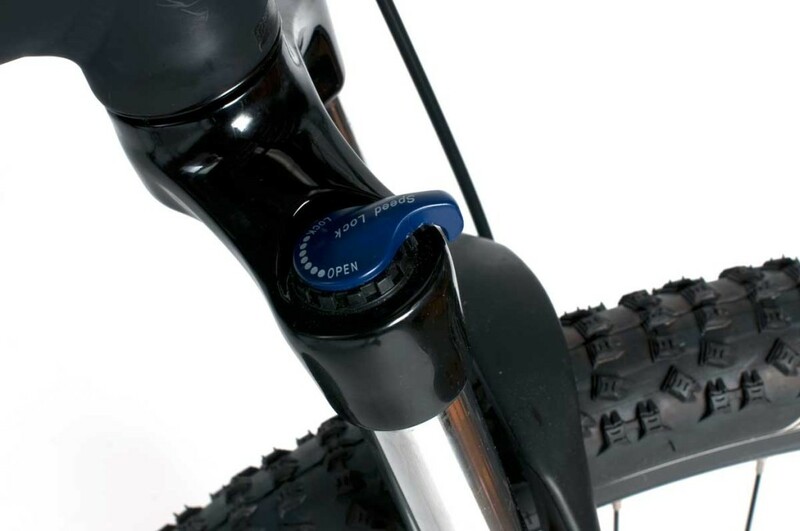 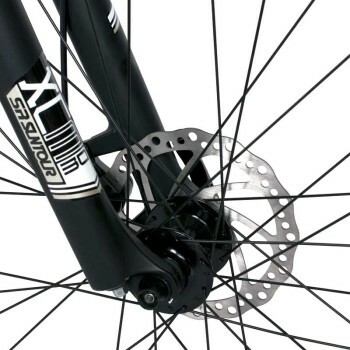 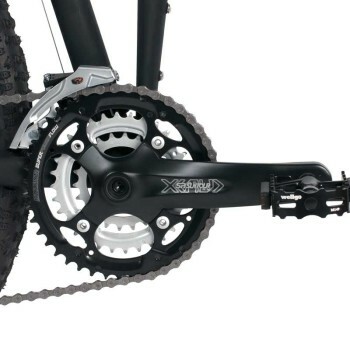 A quick release allows it to rotate under the rear wheel on a specially designed axle mount. 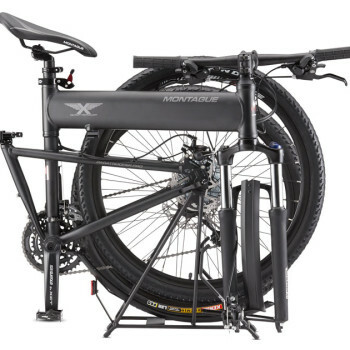 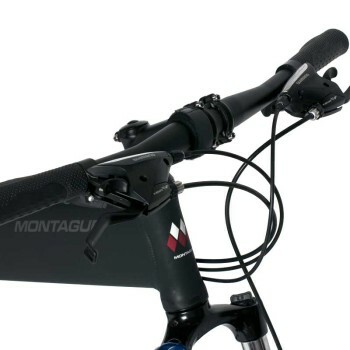 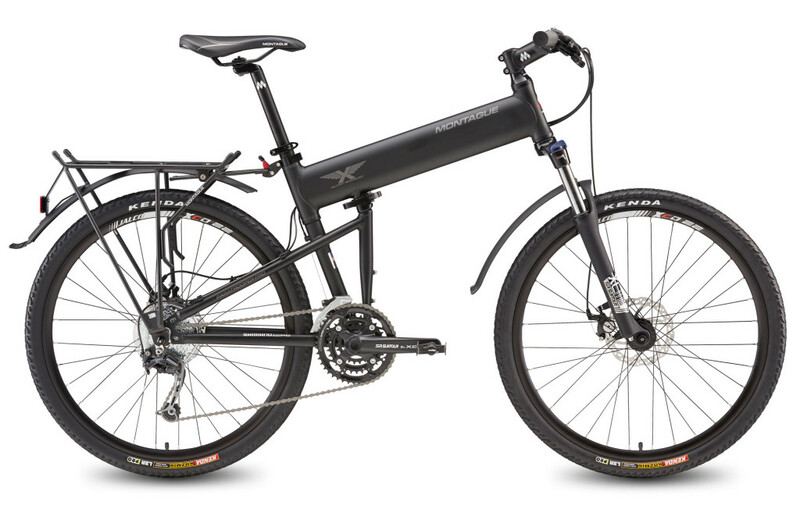 When in the lowered position it acts as a kickstand/workstand, makes folding your Montague easier, and allows the folded bike to be stored or displayed upright. 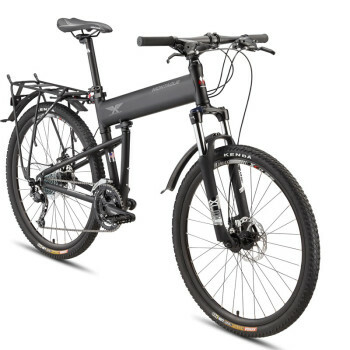 The Pro is a great choice for off-road exploration, all-day single track, remote bike camping, and tackling the tough terrain! 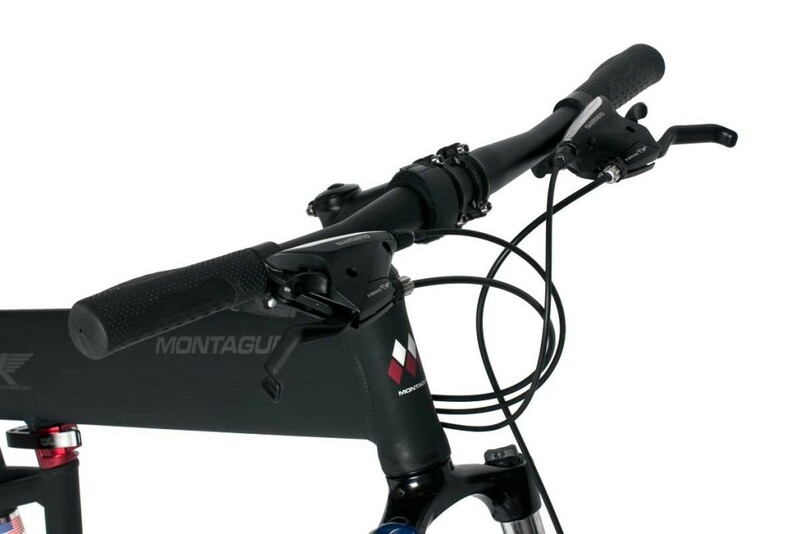 New for 2016 is the DirectConnect folding system, which removes the quick release from the top tube, provides an easier folding experience, and larger clamping surface between the two halves of the frame. 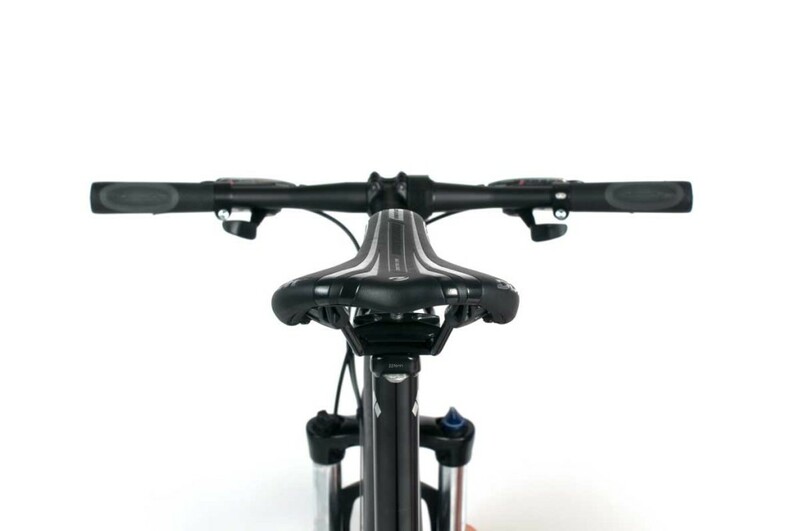 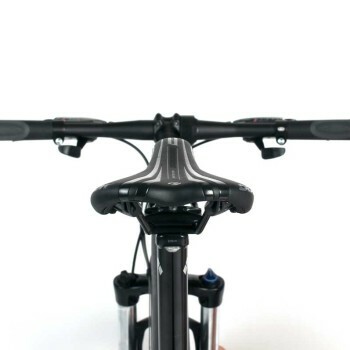 A flip of the quick release lever and your bike folds to a compact size.